Take water warfare to a whole new level! 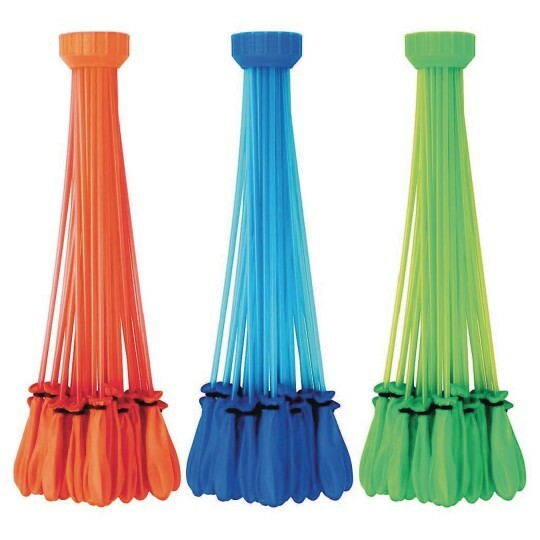 Tie 100 water balloons in less than 60 seconds with these self-tying water balloons! 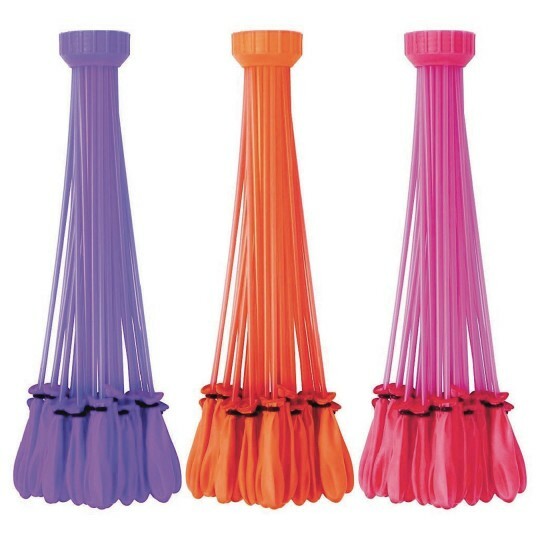 Fill and tie 100 water balloons in less than 60 seconds with the Bunch O Balloons self-tying water balloons! What started out as a Kick Starter campaign is now a worldwide sensation, taking water warfare to a whole new level. 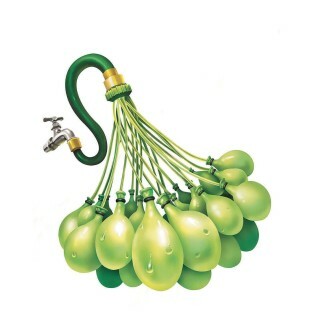 Say goodbye to the stress and mess of filling individual water balloons once and for all. Simply twist product on to any standard hose and fill with water to desired size. Gravity will pull the balloon off the connector and the self-tying mechanism will do its job so you can focus on fun! 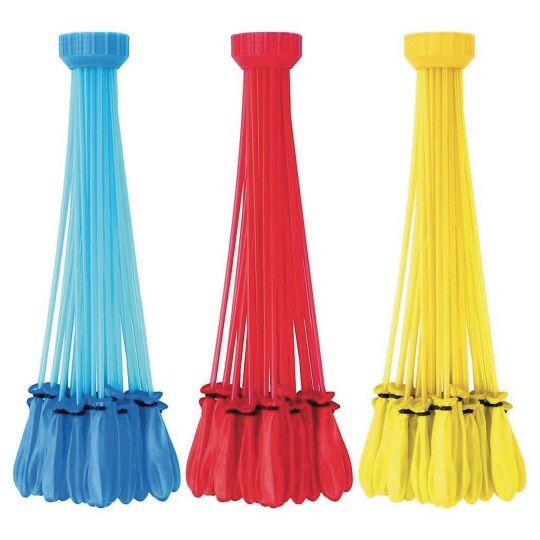 This item comes with one standard Bunch O Balloons pack which includes 3 balloon connectors and over 100 balloons. Colors will vary. All balloons and O-rings are biodegradable and recyclable.